Four children from a Texas family have been killed after a relative unknowingly created an extremely toxic gas by trying to wash away pesticide sprayed near their home. The children, one as young as 7 years old, died from the effects of phosphine gas poisoning, reports NBC 26, when efforts to clean away aluminum phosphide pesticide from beneath a mobile home went tragically wrong. According to the US Environmental Protection Agency (EPA), aluminum phosphide-based fumigants are restricted and must be used by “certified pesticide applicators… at least 15ft from a residential structure”. It’s primarily used for destroying insects in animal feed and controlling pests in agricultural areas. The chemical compound, which comes in pellets, tablets and dust, becomes phosphine gas when exposed to moisture. The deadly mixture causes the lungs to stop functioning and was the chief factor in the four Amarillo deaths, police said in a press release. “After interviewing other family members, it was discovered that they were using a pesticide under their home that contains the chemical aluminum phosphate,” the investigators said. “At some point, a family member tried washing the chemical from underneath the house with water. 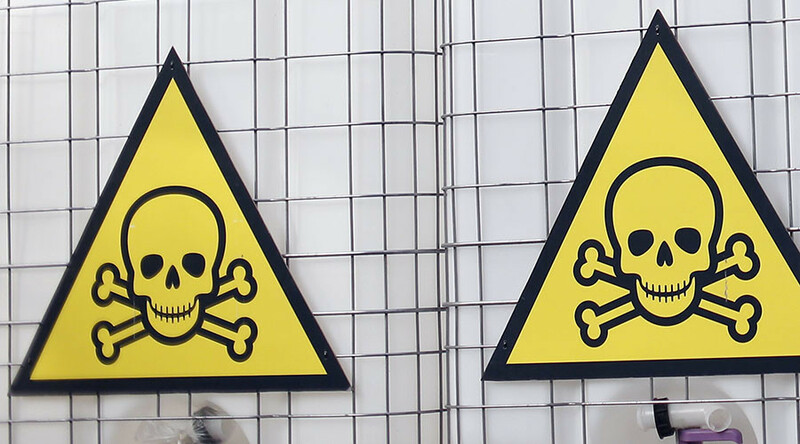 “When this chemical comes in contact with water, it creates phosphine gas, which is highly poisonous and can cause pulmonary edema and respiratory failure. It is unknown at this time how long the family had been exposed to this gas,” it said.